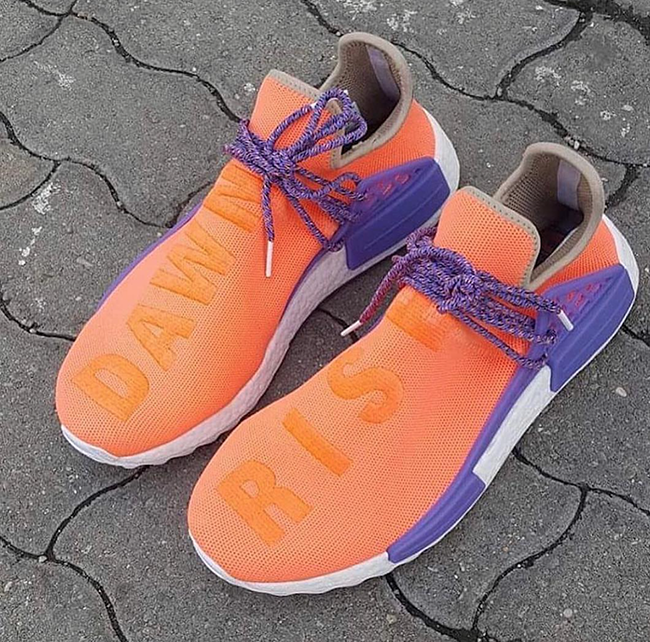 Come Fall 2017, adidas will have a new run of adidas NMD Hu releases in connection with Pharrell. 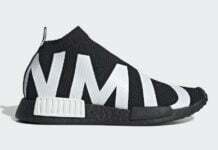 While we have some time to wait, we take a look at another NMD Hu Sample. 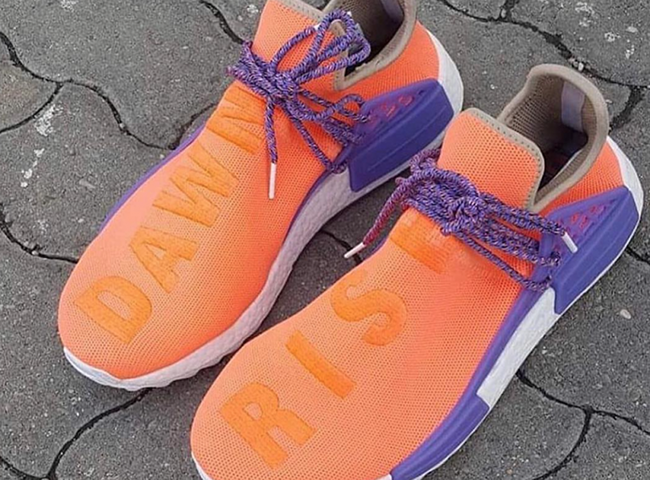 This pair is highlighted with the words ‘DAWN’ and ‘RISE’ across the top and mashed up with the Orange and Purple color scheme, they have a morning and night theme. 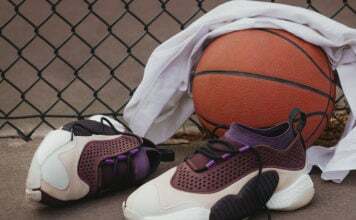 Looking closer, Orange covers the base and around the heel while Purple hits the cage. 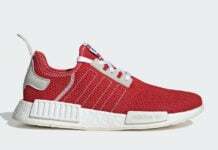 Completing the look is a White Boost midsole and the same shade on the outsole. 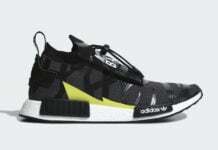 At the time of writing, it isn’t known if this adidas NMD Hu Sample will release, or stay as it is, a sample. However once we have more information, we will make sure to update you. Below you can check out the full image for a better look. Make sure to visit the comments section with your thoughts on them.